I'm back again to share another great way of serving snacks to your little tot. Changing the way you serve foods is an easy and fun way to make it new and exciting for them again. 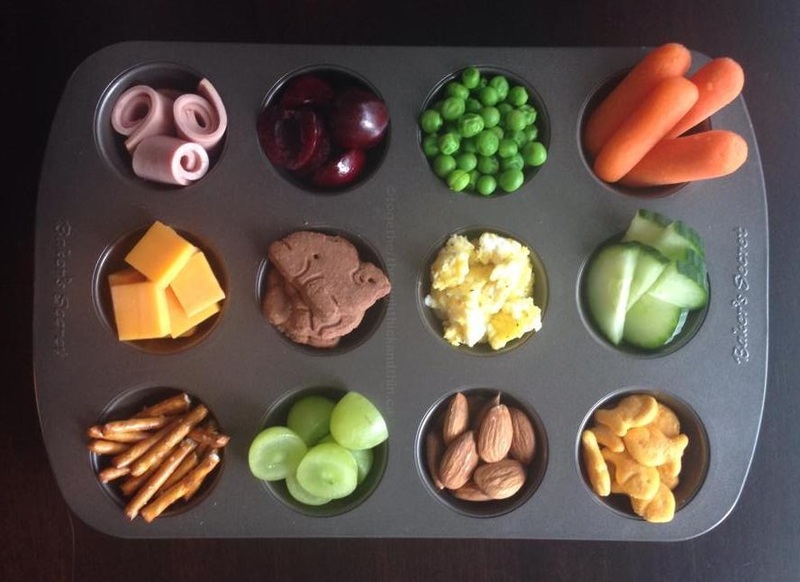 Using a cupcake or ice cube tray with an assortment of different snacks is super fun. I used a mini cupcake tray, Noah couldn't wait to get his hands on it! He also helped me choose the items I put in it. When I started to run out of ideas, I asked him what it was missing and he said eggs. So I scrambled some up for him and put in the tray. There were many giggles while my little guy picked away at this tray, I think he loved the different presentation and variety. He also ate majority of it, mommy win!